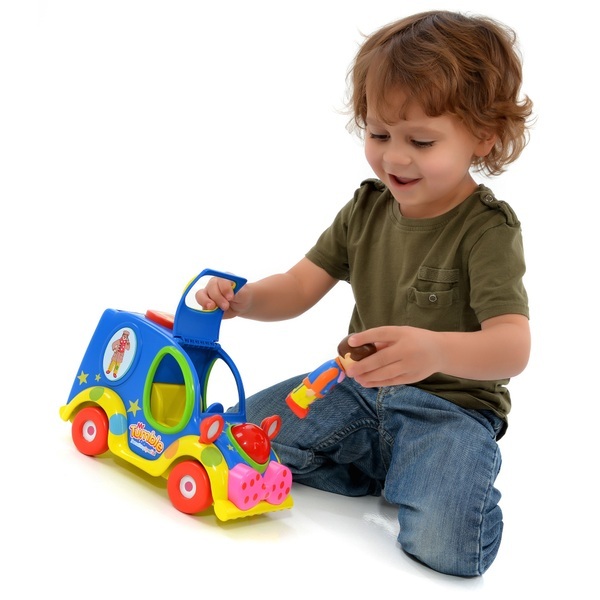 Mr Tumble's Fun Sounds Musical Car has over 7 exciting features for little ones to play with. Push the bright and colourful car along to hear engine sounds, press the big red nose to make it flash and watch the car as it wobbles along. With a Mr Tumble character figurine who fits into the driver's seat, song from the show, and amusing phrases from your 3 favourite characters; Grandad Tumble, Aunt Polly and Mr Tumble himself - children will have hours of enjoyment! Also includes 4 Makaton cards for you to learn.